There is a line between a spyware and a monitoring software. Both can do pretty much the same thing and that is spying on activities done on a computer. The difference though is that a spyware is bad and illegal while monitoring software is legal and with consent, and it’s good because it’s used for beneficial reasons and not to steal information with the use of keyloggers. So, what is a spyware and what is a monitoring software? A spyware is a kind of malicious software that intrudes through a computer’s security program. It compromises the computer and can even contaminate it. There are different kinds of spywares with different means to jeopardize your security. A spyware can record your web habits, can record your emails and many others. The unfortunate thing here is that all the data gathered by this spyware is being sent to someone you don’t know. That person developed this spyware to steal information from a lot of people. Unfortunately many have already fallen victim to this and they lose information such as their credit card details that can be used to make purchases even without your consent. The most affected with this type of theft are users of the Microsoft Windows OS. Monitoring software is capable of what a spyware can do only that it is legal. That’s because this type of software is allowed with an informed consent and that the one who will install it must be the owner of the computer or is consented by the owner of the computer and lastly, it must be used for parental guidance towards their children. This type of software is great for parents who are afraid to leave their children to use the computer without them watching over them. Of course parents can’t always be there and kids would want to use the computer for many reasons such as for schoolwork or simply to play games and be in touch with friends. Monitoring software can be legally installed on their computer (as long as that PC is owned by the parents) so parents can have the peace of mind that even though they are not around, the computer use of their children are supervised because they record everything that their kids do online or even offline. You are legally allowed to spy on the computer used by your child as long as they have not yet reached the legal age of 18. After the age of 18, you will need to check with your local laws to ensure you aren’t violating their privacy. 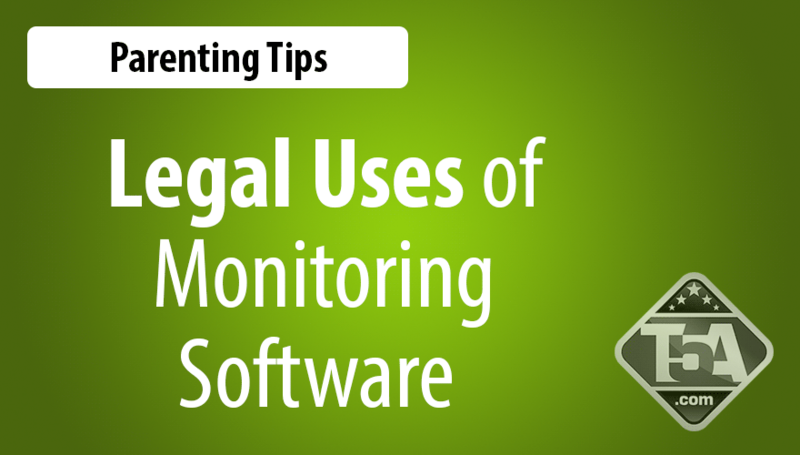 Monitoring software is typically legal if installed in the workplace by the employers. Depending on your local law, employees may need to know about monitoring applications implemented at the workplace and therefore, you may need to get paperwork signed by all employees. It’s up to the employer if they will leave a certain amount of privacy for their employees or not. As a rule, the workplace must not be the place for leisure browsing or online gaming but a place to focus on work as employees are paid to do their job. With a monitoring software, employers can make sure that they are getting the service from their workforce that they paid for. It is typically legal to install such software and keep it in full stealth. If an employee thinks that they can bypass it, they can try but a reliable and trustworthy monitoring spy software wouldn’t let them succeed. Thus, you will still know whether or not they are trying to cheat and hide their online activities. A great advantage for having such spy software in the workplace is to keep the intellectual property safe. You wouldn’t want an employee to leak important data and resources online. When you don’t have software that will make sure they only do what is “legal” in the sense of what their job entails then they wouldn’t have a chance to try and leak important data. If they do, then you will know who did it and can make legal actions using the software as an evidence of what has transpired. Using monitoring software to monitor your wife, husband or any other adult is most likely illegal unless you have their express written permission to monitor their activities. As for monitoring your partner’s behavior is a different story. It is not going to be a good idea to monitor their behavior online and take it as evidence in the legal proceedings. Though you may claim the computer is commonly owned, unless you already have consent of your spouse or partner, spy software is most likely illegal. Please check your local laws to see if spy software is legal in your area and allowed to be used as evidence in legal proceedings. Most likely, there are privacy laws protecting your spouse from spy software monitoring activities unless they have given you signed prior consent. If you are allowing company to use your primary PC with monitoring software installed, it is highly suggested that you inform them of the monitoring software that is installed and document the fact that they were made aware. Disclaimer:The information provided in this document are for informational purposes only and not for the purpose of providing legal advice. You should contact your attorney to obtain advice with respect to any particular issue or problem. Use of and access to this information within this site do not create an attorney-client relationship between T5A.com and the user or browser. The opinions expressed at or through this page are the opinions of the individual author and may not reflect the opinions of the firm or any individual attorney.